* Take 8 balls a day. Umeken Koso Ball EX contains 108 different natural ingredients. process, the Koso Ball EX is born! Through Umeken, the true power of enzymes is realized. Enzymes are used in various functions such as digestion and the breakdown of food. When enzymes become insufficient in our body, metabolic ability drops down. What can enzyme deficiency lead to? Many of us use up more enzymes than we consume as we eat processed foods or foods containing no enzymes at all. 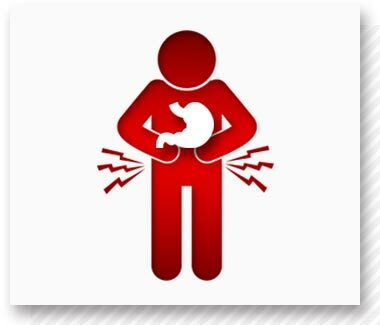 When enzymes are low, breakdown and digestion of food slows down, making the food stay in the stomach much longer than usual. Continuation of this vicious cycle adversely affects our health. 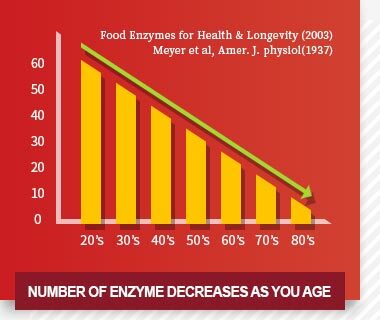 Why do we need more enzymes to be replenished as we age? 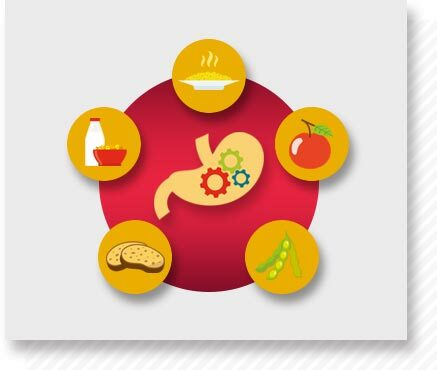 After our 20’s, our body’s digestive metabolism drops dramatically. The number of antioxidant, digestive, and metabolic enzymes are found to decline drastically as we age. What is Umeken Koso Ball EX? As the foremost experts in Japan’s fermentation science, Umeken produces enzyme supplements from vegetables, herbs, and fruits that are produced in some of the cleanest Brazilian forests as recognized by World Heritage Site. 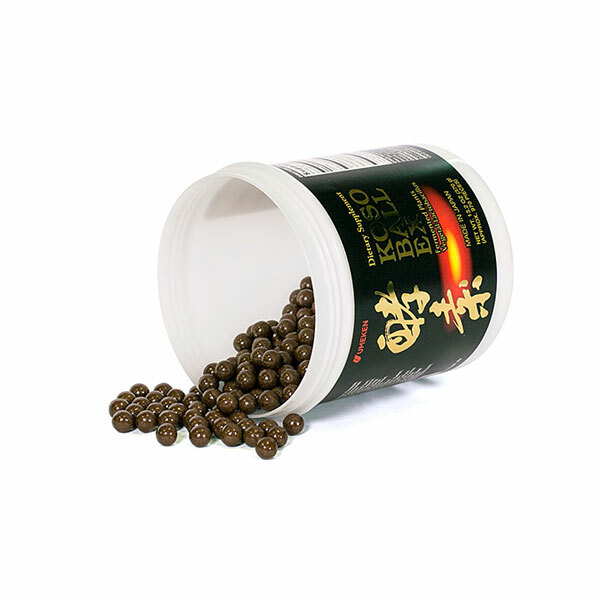 After a three-step fermentation process using 1dH pure soft water, the complex mixture of 108 of the finest ingredients available is extracted into Umeken’s very own enzyme supplement, capturing the very essence of vitality strength in one small pill. 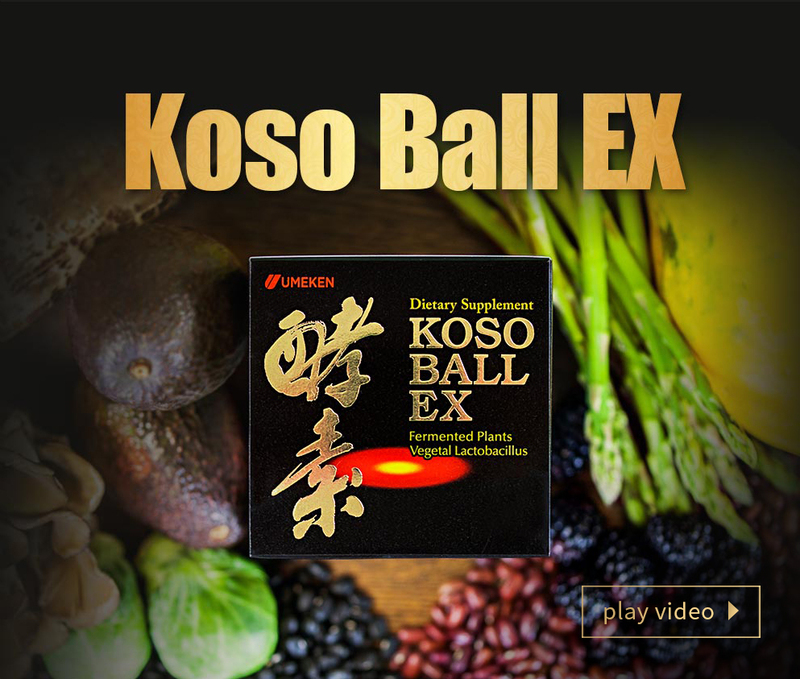 Umeken Koso Ball EX, what makes it special? 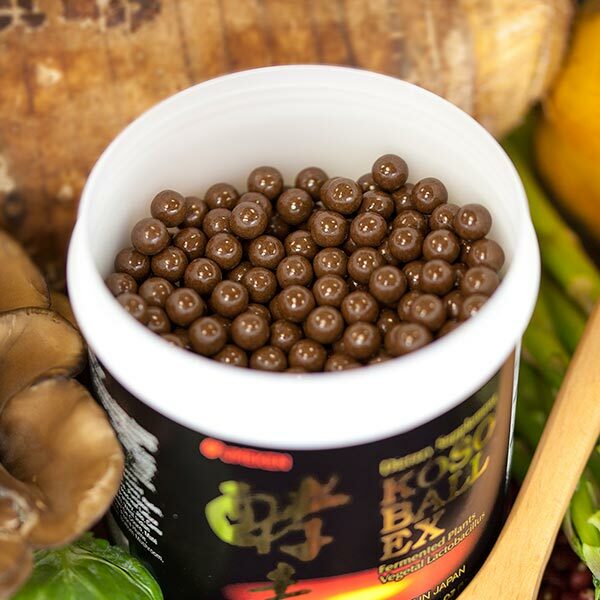 Umeken Koso Ball EX contains 108 different natural ingredients that are grown in pristine conditions, and it is made through a three-step fermenting process using 1dH pure soft water. Umeken Koso Ball EX became one of Umeken's best sellers as more and more people experienced its efficacy and has helped further establish the reputation of quality that comes with the Umeken brand. ingredients that contain many essential nutrients. 370g (Approx. 970 balls) about 4 month supply. Take 8 balls anytime during the day. I tried Koso balls under the high recommendation of a sales lady at a Umeken store. 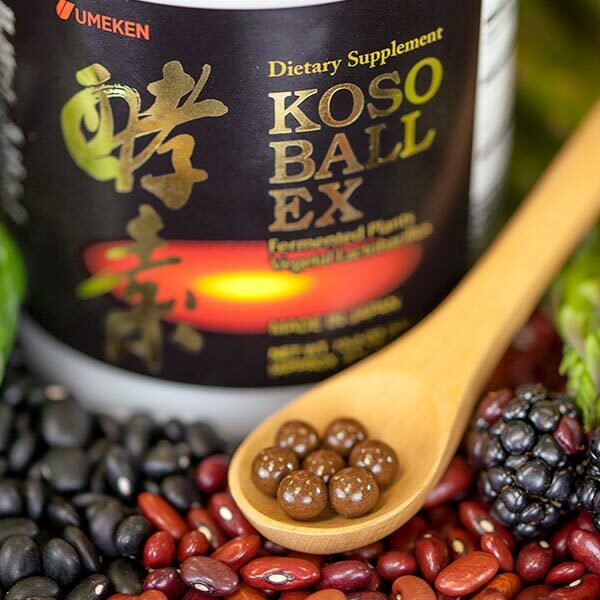 I was interested in Koso balls because I have been working with my acupuncturist for over a year to improve my overall health and immune system; I feel much better and energetic after weekly visits but feel something was still missing. I was taking cordyceps for a few months under the acupuncturist's recommendation, but didn't feel much difference. 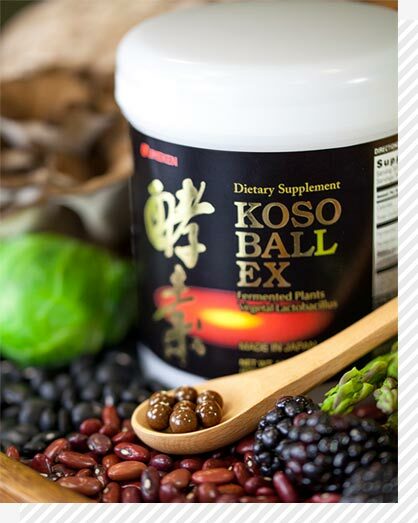 After using Koso balls for just 2 to 3 weeks, I felt an immediate difference in my body. My natural body temperature increased and I no longer felt cold or the need to wear a fleece. To my pleasant surprise, I noticed my short term memory and ability to concentrate at work are much better. I also notice the color of my urine is lighter, and less smell. My wife was really skeptical about Koso balls; however after hearing of my success, it got her interested in trying. 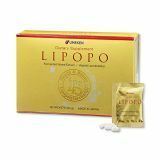 For her, she sees some visible difference in her waist line starting to slim down, and skin starting to tighten up more. sept02Me8re Eve9 Les nkisi nkondi e0 clous sont exnulsivemect Yombe, qui sont le groupe des forgerons dans le Royaume Kongo. Le mot nkisi signifie sacre9 et meame le Mani Kongo e9tait conside9re9 comme nkisi, c est e0 dire qu il e9tait interme9diaire entre l humain et le divin, comme les pharaons en Egypte Ancienne. Aujourd hui dans le langage commun, nkisi est utilise9 pour grigri et aussi pour me9dicament . 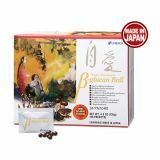 I'm enjoying all of Umeken products. Most especially the hexagon water. I don't notice a difference yet but it taste really crystal clean. I had an upset stomach after trying out hongkong milk tea + pineapple shortcake. took 10 balls of koso, it relieved my pain within 30 min. amazing! I have been taking blood pressure medicine for the past 17 years. If I was a little stressed, I could feel my blood pressure rising, which always concerned me. However, I didn’t want to rely on a heavier dose of medicine either. I read an article in the Health Journal which stated that “if our body lacks enzymes, even the herbal medicine (bo-yak) would be useless.” I thought maybe my body lacked enzymes so I ordered Koso Balls. After taking them, my blood pressure was under control. It was easier for me to get up in the morning, and the frequent flus that I had every winter were gone. I also take Umeken’s L-Calcium and since then my knee pain went away. Now I am able to enjoy my morning walks. 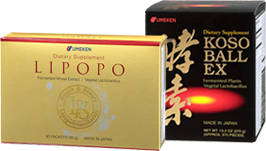 I started to take Umeken health products to help deal with my diabetes, and now I can’t live without them. 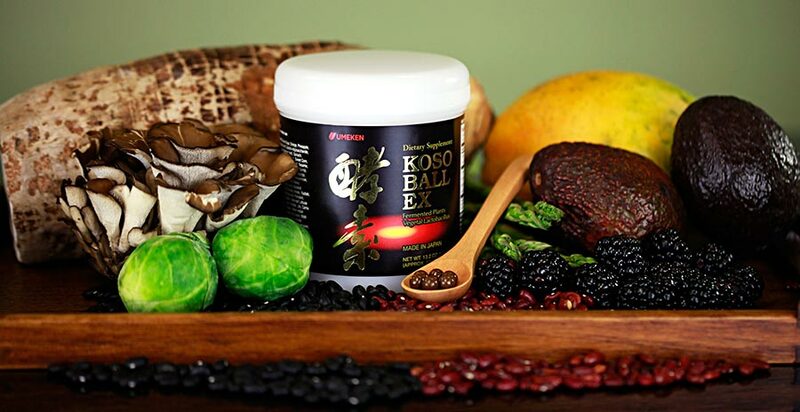 Koso Balls have improved my health, my skin, and my complexion. Because of my increase in energy, I am able to enjoy my walks. Studying herbal medicine gave me a lot of stress, which led to constipation issues, headaches, and hot flashes. 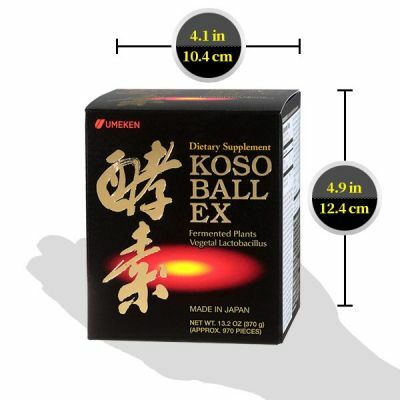 I started to look for a health supplement and found Koso Balls. I used to take vitamins but I wanted to test enzymes to see what effect they would have on my body. 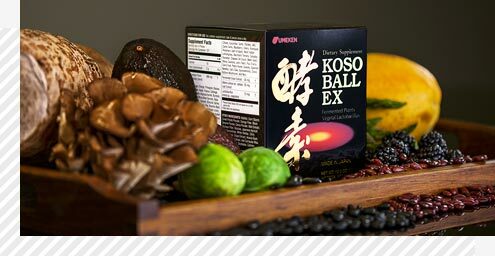 I felt different each day as I took Koso Balls; I felt better, my body felt lighter, and I had more energy. Now I take 8 Koso Balls daily. My daughter always ate out and I thought perhaps that was a contributing factor to her constipation. After about 2-3 days of taking Koso Balls, however, she was happy to have been relieved from constipation. She felt that all the junk in her stomach was flushed out. I also felt that my bowel movements were regular and even my bowel colors seemed healthy after taking Koso Balls. My husband regularly takes them and loves them too. Now I realize how enzymes are to our body important. I’ve always had stomach problems and never had a good appetite, which seemed to contribute to my lack of energy. One day my friend gave me a box of Shouka Koso and told me to eat it with my meals because it helps with digestion. I was never a fan of health supplements so I put the box aside and forgot about it until my friend asked how I liked it. I finally decided to give it a try and sprinkled a packet of Shouka Koso over my rice. I was surprised to see how easy it was for me to finish the bowl of rice, and I didn’t have indigestion or feel bloated afterwards. I even felt like I had more energy after my meal. Now I always keep Shouka Koso in my purse and enjoy my meals without suffering from stomach problems. 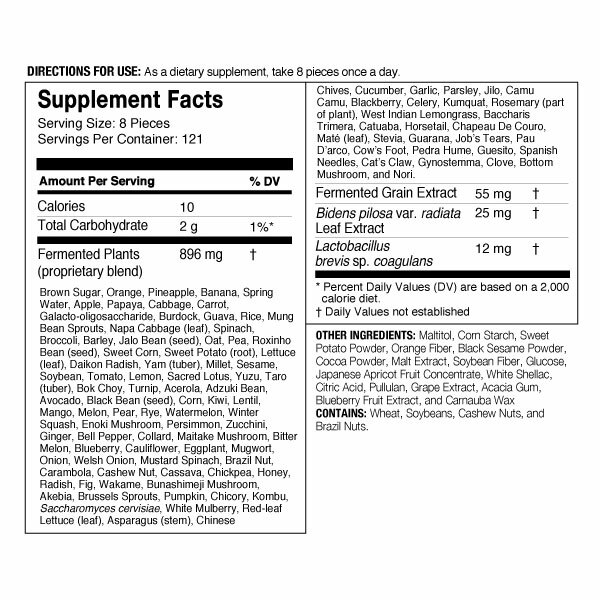 I started to trust Umeken health supplements after I experienced these changes. 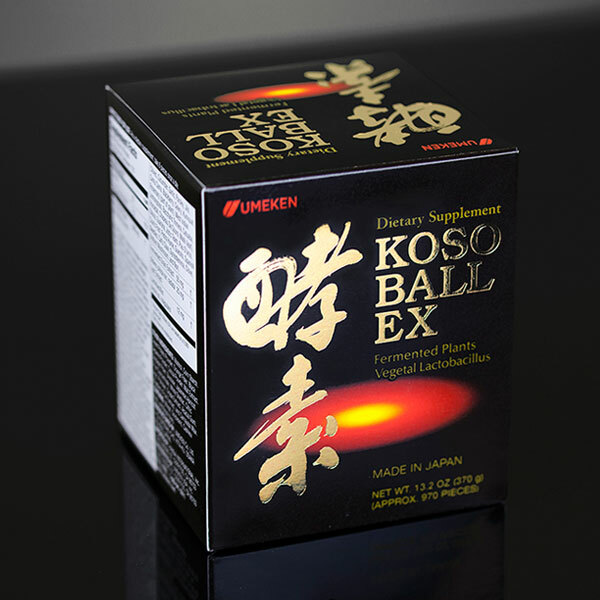 I also started taking Umeken’s Koso Balls, which are recommended to help balance your body and boost your immune system. 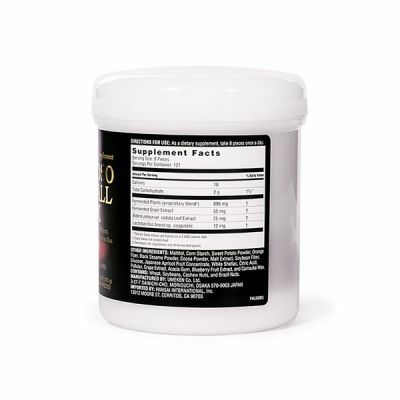 I highly recommend Koso products for those who suffer from indigestion and stomach problems. I received treatments for cancer in 1993. In 2003, my cancer showed up again in my shoulder area and I had to receive radiation therapy in my shoulder and chest area. I had to go through several chemotherapy treatments to prevent the cancer cells from spreading to different areas. I tried to think positively but in 2010, my health deteriorated drastically as I developed a chronic cough and had trouble breathing. Apparently the cancer cells spread to my chest and lung area as well. I was physically very weak and was willing to try anything that would help me improve my health. My friend Sung Hee Yim read an article in the Health Journal about the benefits of Beta Glucan. I was desperate and decided to try Beta Glucan and Koso Balls. 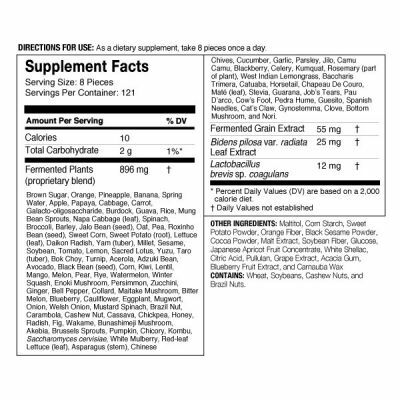 After taking these supplements (3 boxes now) my most recent exam showed that the cancer had not spread and that the existing cancer cells were not growing. My doctor was concerned about constipation with the therapies, but the Koso Balls helped me with digestion and constipation issues. I also had diabetes but after taking Koso Balls, my blood sugar level stayed normal and I don’t have to administer my insulin shots as often. I feel that I’m able to go on physically with all my radiation and chemotherapy with the help of Beta Glucan. I wish everyone good health. I was diagnosed with diabetes 14 years ago and I tried to balance out my blood sugar level with regular exercise and watching what I eat. However, this was a big challenge because of my long work hours. Also, about a year ago, my ankles and calves started to swell. I tried herbal medicines, acupuncture, and different red ginseng products. I would feel better after these treatments but it only lasted for a moment. I started taking Umeken Koso Balls and to my surprise, both my swelling and my blood sugar level slowly went down. As I was busy raising a family in my 30’s, I always thought of myself as healthy. When I entered my 40’s, however, I started feeling a little pain here and there. I remember reaching for something in my fridge and felt a sharp nerve pain in my arm. That was 15 years ago. Since then, I’ve had aches in my neck, back, and just about everywhere. I went for a checkup and my doctor said I had “frozen shoulders.” I was able to raise my arms only halfway up, I could not hold my purse very well, but the hardest part was reaching over to get my seat belt when I got in the car. My condition got worse to the point where any physical contact with my arms would leave me in pain. Then I found Umeken Koso Balls. After about two months of taking Koso Balls, the aches and pains I had to deal with for so long started to go away. It was unbelievable. I take 8 Koso Balls daily. After about a year of taking them, my body felt completely different. My fatigue in the evenings and my body’s difficulty with getting out of bed in the morning went away. 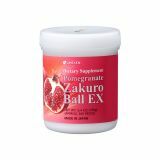 About three years ago, my husband brought home some Umeken products, including Plum Balls, Corbicula Extract Balls, Fermented Black Garlic Balls, and a Health Journal. He said his friend recommended Umeken because it is a trustworthy health supplement company. After reading through the issue of the Health Journal I wanted to try the Koso Balls for myself. I always felt lethargic after a meal but once I started taking the Koso Balls, I started feeling less tired after my meals. Another thing that impressed me was that the sinus allergy that I had for the past 45 years was gone. My overall health had improved. My daughter also suffered from sinus allergies and even needed surgery to relieve this. However, her allergies started bothering her again soon after and so I recommended Koso Balls to her as well. After regularly taking the supplements, her allergy symptoms went away too. I’m very thankful for Umeken Koso Balls. I suffered from eczema and dry skin from a very young age, but my skin felt different after I started taking Koso Balls. 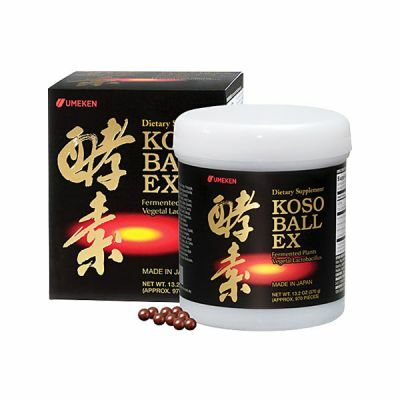 I also don’t suffer from frequent colds, and truly feel that my immune system got a boost after taking Koso Balls.